CARPATHIAN FOREST frontman Nattefrost is one more in the long line of Scandinavian Black Metal musicians who have been unable to gain entry into the United States due to the labyrinthine and draconian immigration laws that have so often denied US fans the opportunity to see their favourite European bands. Despite this setback, CARPATHIAN FOREST, whose remaining four members had been granted visas, was still aiming to appear at the Maryland Deathfest in Baltimore on the 26th May as scheduled, but as a four-piece, with guitarist BloodPervertor taking on vocals. Unfortunately, for reasons unknown, the embassy was not able to return drummer Kobro’s passport in time for the band to leave, and CARPATHIAN FOREST has therefore been forced to pull out of the festival completely. However, three members – guitarists Tchort and BloodPervertor and bassist Vrangsinn will attend and will be available to talk to fans. 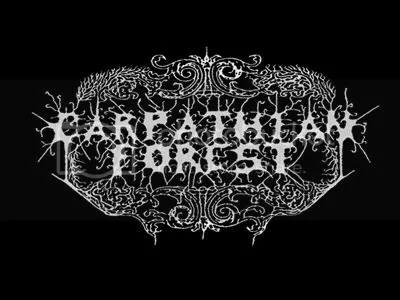 It is only under very exceptional circumstances that CARPATHIAN FOREST play without Nattefrost, the only other occasion having been when BloodPervertor stepped in to cover vocals on a handful of dates during the No Mercy Tour in 2004 when Nattefrost broke his collar bone. Commenting on the original decision to go ahead despite the absence of the band’s iconic frontman and then still being forced to cancel, guitarist Tchort had this to say: “When we decided to make the trip without Nattefrost, we knew that many fans would be disappointed, but at the same time we didn’t want to let down the organisers who have been so supportive throughout the whole visa process, and have done everything they could possibly to do to try and make it happen. We were also very aware that CARPATHIAN FOREST has many fans in the United States who have waited a long, long time to see the band live, and, given the circumstances, there is always the possibility that Nattefrost may never be granted a visa, so this might have been the only opportunity our US fans will have to see us on stage, albeit minus one member. To then have to pull out completely because of whatever delays occurred even though Kobro’s visa was granted, was a big disappointment for everyone”.